International travel company Vayama.com might be the largest online travel company you’ve never heard of. That’s because that is how they wanted it to be — they were a meta search player in the space. In 2013 they decided they wanted to create a brand. They came to us seeking a way to increase awareness of their brand and to shift perception from transactional to inspirational. 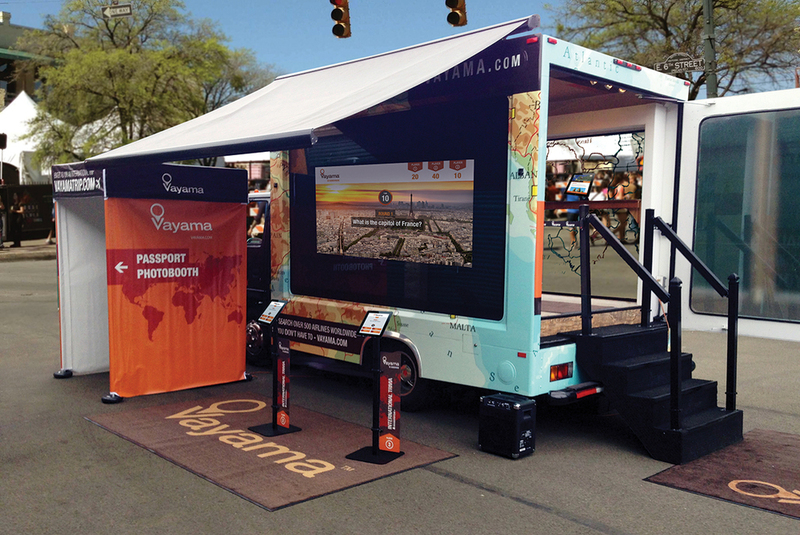 We took Vayama on the road – introducing Americans to the brand and the world around them one market at a time. 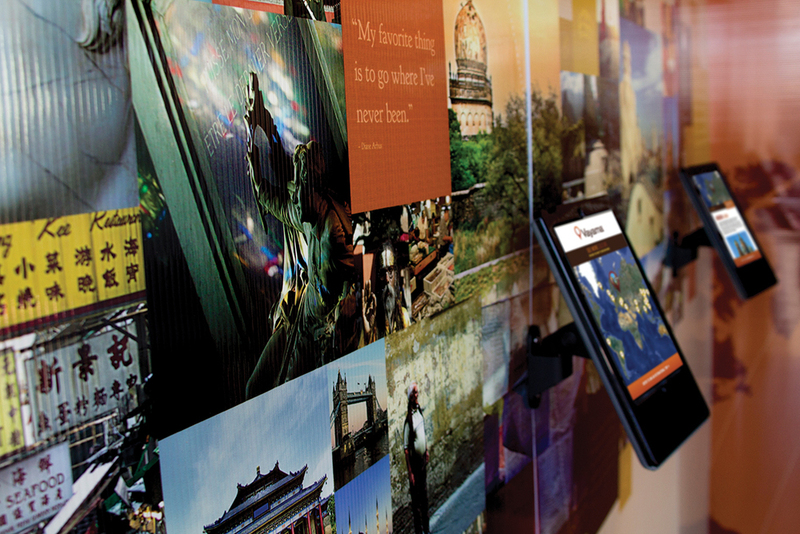 The Vayama Go Somewhere Tour challenged people to think about international destinations, inspired them to consider where in the world they’d like to travel, and got them one step closer to making that dream a reality. 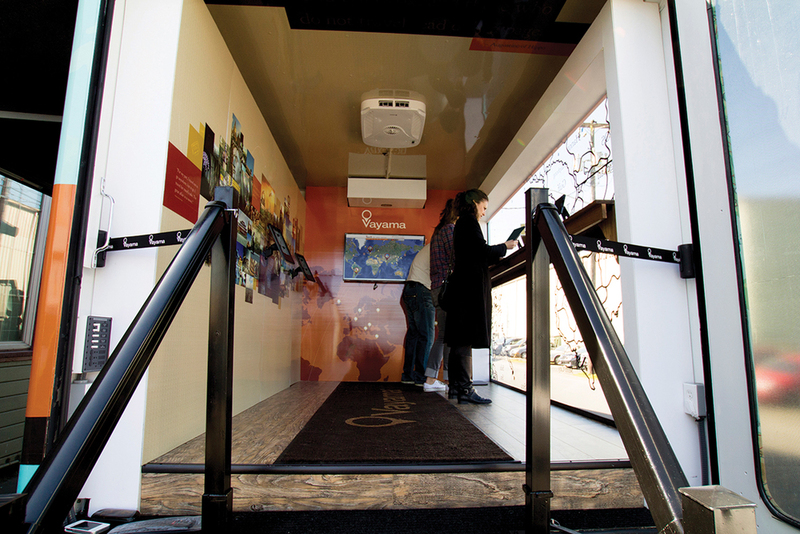 The tour hit 12 major markets with a pop-up experience complete with a passport photo booth, mobile sweepstake entry, multi-player international trivia game, and a touch-screen indoor experience to explore featured destinations with the opportunity for email capture.